The King could barely wait until I was done with the photos for this post before he snagged a couple of these and a glass of milk. Needless to say, they are good! Easy to make and very impressive. Melt the chocolate in a bowl according to package directions. 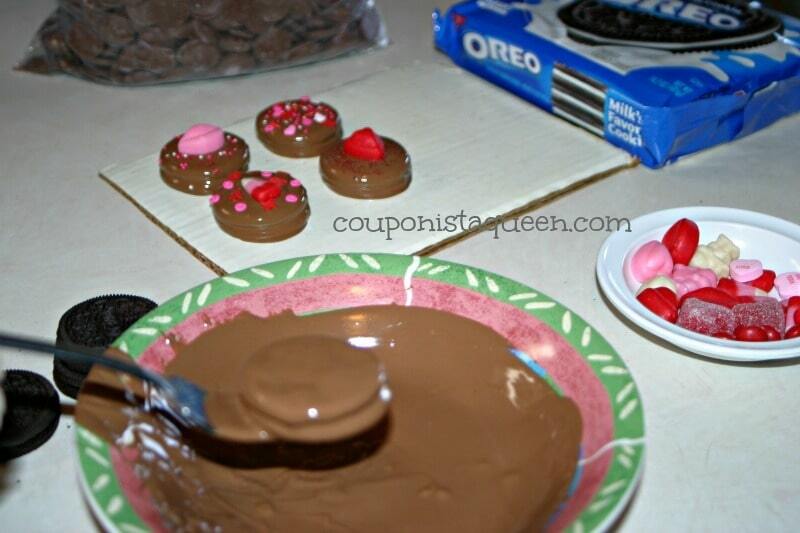 Dip one cookie in the chocolate, turn it over and make sure it is well coated. Use the fork to let the chocolate drain a bit, tapping it on the edge of the bowl then scraping the bottom of the fork before you gently place the cookie on the wax paper lined cookie sheet. Do NOT move the cookie once it is placed until it is totally hardened. 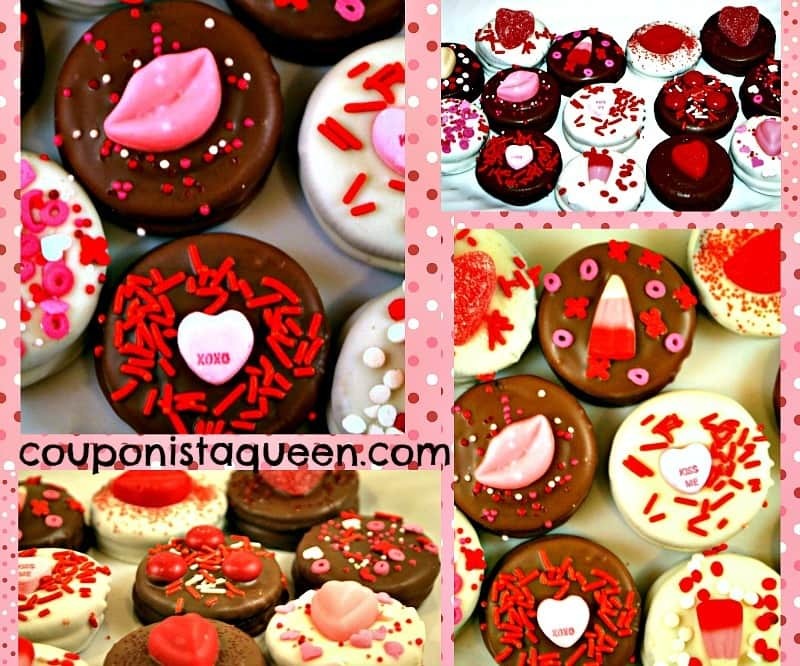 Dip a few cookies at a time, making sure to decorate each one before they harden. You may need to re-heat your chocolate as you go. After you are done, allow the cookies to harden completely then place them into your container of choice. 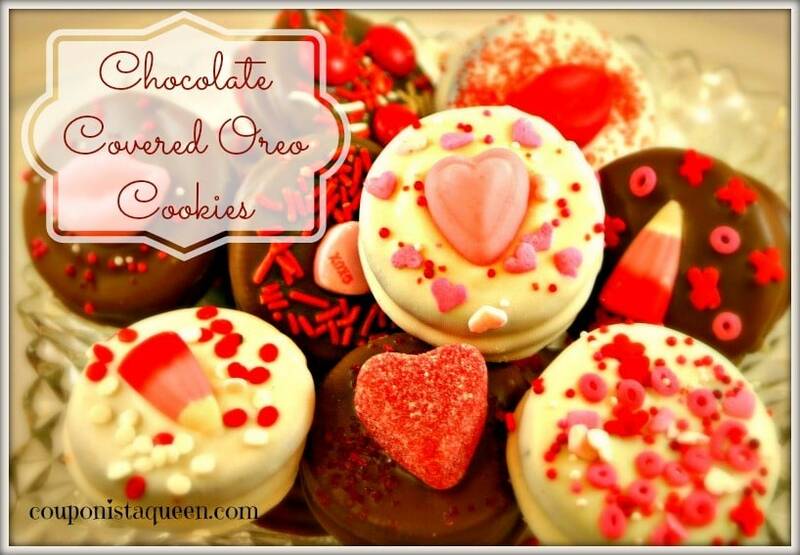 These are perfect as favors for parties, individual treats, hostess gifts, get-well-soon, congratulations, etc. I make these for all kinds of occasions! These are adorable, and they look SO GOOD! I totally want to do this with my kids.